For Gordon Van Zandt, life was one of duty and loyalty to his country, so when 9/11 happened he dropped out of college and joined the Marine Corps. This youthful idealism soon vanished, one fateful day in a war torn city in Iraq. Ten years later, he is still struggling with the ghosts of his past, but must now face a new reality thrust upon him and his family. In 48 hours, the Earth will be hit by a coronal mass ejection (CME) from the sun, a "Carrington Event" that has the power to shut down and possibly destroy the world's electrical infrastructure. To try and prevent permanent damage, everything goes dark prior to the hit: Global communications are shut down; hospital emergency generators are disconnected; the entire internet, media broadcasting, and cell phone systems are turned off. Will the world's population successfully defend itself in the wake of the CME, or will mass panic lead to the breakdown of society as we know it? Neal managed to survive the initial weeks after an EMP decimated the grid and all critical infrastructures. Using his cunning, skills, and mindset, he navigated the harsh new landscape. Life became harder when the weeks turned to months but still he survived. As he settled into his new normal, complacency set in with it. At first everything was fine, but then the deadly realities came to his doorstep. When tragedy struck all he wanted to do was give up, but a promise he had made kept him going, barely. The day started like any other, but it ended with the human race fighting for its very existence. A rogue Russian nuke sails toward the harbors of Los Angeles in the hull of a ramshackle sailboat. Without destroying a single building, the bomb shatters the latticework of the American dream, toppling one piece of the economy after another. 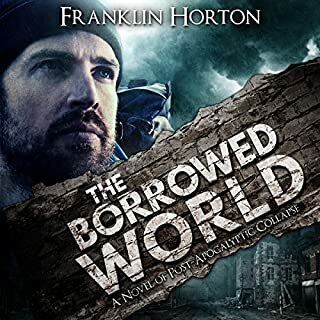 A group of Special Forces veterans and their prepper friends scramble for survival in a worldwide catastrophe so psychologically disruptive they are left questioning everything they ever believed to be true. The news is full of disturbing events today. There's war and rumors of war. There's the false recovery of the economy. Faith in the US economy is extremely low. Foreign banks have either slowed their purchases of Treasury Bonds or, in a few cases, begun unloading them. We have a current election that is rife with corruption, extreme partisanship, and outright fraud. It would appear the left in the country is ready to do about anything to see their candidate elected. Best-selling dystopian author James Hunt brings you his collection of highly rated EMP survival novels. These stories have accumulated over 150 five-star reviews and have been boxed together for the first time. In the early morning, a spectacular attack against the United States was carried out. It was the fulfillment of a grand conspiracy that would leave millions dead and many more millions on a trajectory toward a fate worse than death. The super-EMP would destroy the power grid and leave most electrical devices useless. Again - Do not buy this book either if you have read the series! 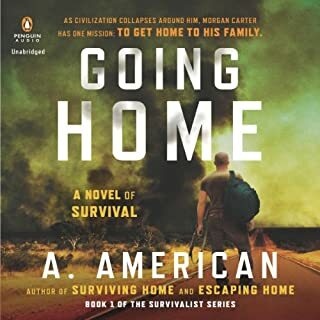 A gripping new novel from one of the best-known names in survivalist fiction. 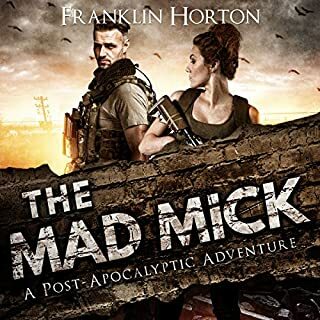 Former marine turned author G. Michael Hopf grabs listeners from minute one with his breathtaking blend of action, adventure, and political intrigue. 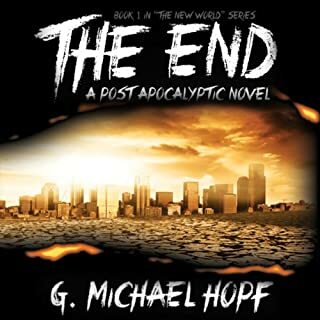 The End - the first book in Hopf 's New World series - has sold more than 50,000 copies, and word of mouth is quickly building on the series as a whole. 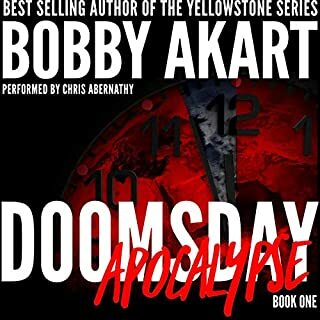 In the fourth book, The Line of Departure, the United States is on the brink of total anarchy in the wake of a super-EMP attack. Gordon Van Zandt and his family have managed to beat the odds so far, but can they survive once war erupts? Awesome book! Now hurry up with the next one! I have to say it has been a pleasure to follow this series of books. While The End (the first book in the series) I still consider the best so far The Line of Departure is a very close second. The book has some great plot twists while remaining believable and not over the top like allot of movies and TV shows. This book finds Gordon and Samantha finally settled down at their cabin in the mountains. While in The Long Road they faced almost constant danger throughout their travels they are by no means safe. Now they face many challenges and even more volatile dangers here. In a world with little to almost none of the great medical advances of the last two hundred years are readily available to the masses of the population. Now things that would have been of almost no concern before present themselves as possible mass extinction events. The other aspect of the book that I enjoyed was watching President Connor slowly evolve from a political leader who seemed like a man of the people into a ruthless tyrant and how was able to justify some pretty horrible barbarism to himself as “for the greater good”. Some other plot twists with other leading figures in the book are also masterfully done. Seeing how the author tied some of these loose plot lines together is really intriguing and incredibly addicting. The one thing I did notice in this book was that the main character Gordon is not quite as ruthless as he was in previous books. Which I found kind of interesting. I would have figured that after the death of his son Hunter, Gordon would be far more likely to deal out death to save others the pain an anguish that he was forced to endure. There are several scenes where Gordon seems to almost want to avoid using violence in this book where as in the first book he seems to be able kill without giving it even a second thought. I am not sure if this is a character growing in a different direction or what. Lastly I will cover the one small aspect of the book that I personally did not like. In fact I felt that it was completely out of context and character for the series. One of the characters begins to have premonitions of the future in her dreams. This is a very small part of the book and it does not really play into any of the major parts of the story. So I really do not understand why the author choose to include this in the book. I found myself wondering is this really part of the story and why? But that is a small portion of the book and it was over fast. I am just hoping that this series does not somehow de-evolve into an apocalyptic scenario combined with the X Files. If you read the first two books you are almost sure to enjoy this book like I did. If you have not read the first two you will want to read them first or you will not understand allot of the back story. This book is really good and helped me pass the time on a number of chores that probably would have seemed much more unpleasant had I not had this great book to help the time pass by quicker. Narrator is not good. Can't tell the difference between characters . His gravel voice sounds bad as a female &I barely managed to make it to the end. I can't get enough of this book series! Just finished this, heading straight to Google to find out when the next book might be out. The conflicts changed. Gordon Van Zant does not catch a break. His problems only grow in magnitude. It's a great series! It's Morality Tales on a grand scale. Too much of a ok Thing! Not a big fan anymore, i didn't like the narrator switch in the middle of series, and the books just never developed into the series it had the potential to be. Tension is gripping the nation, sides are chosen and lines are drawn. 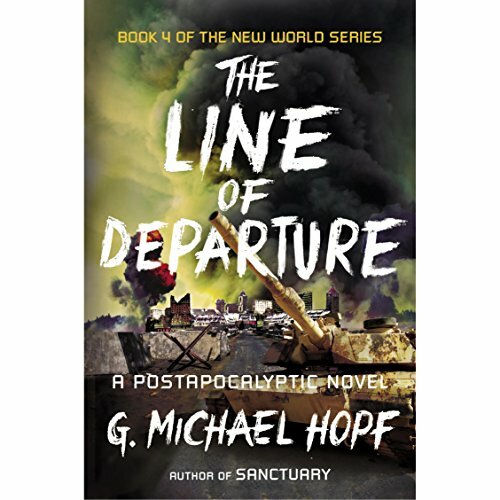 There are a number of players, but G. Michael Hopf has done such a great job with characterization in previous books that it’s a seamless progression. The sub-plots really add to the story and we get to see the big picture of a country clawing to survive. This is such a fantastic series that shows how one person’s choices can have consequences, good or bad. Keith Szarabajka does a great job narrating this series. He helps the characters come alive and helps paint a vivid picture of the events. Hopf delivers again. Some one never told him that sequels are inferior. The action is everpresent as the story twists and turns with ups and downs that keep you engaged. My favorite part of this story is Gordon's thoughts of his wife and their lost youth. It was such a poignant and human touch. It connected me to the story. The plot kept me hooked. Narration was solid and entertaining. The use of real places allowed me to follow along on a map. The ending is satisfying. It allows the reader to relax and feel good without becoming maudlin. I recommend this book as a perfect continuation of the series. I made it thru this book but many times it waa difficult. i mostly did not enjoy the narration despite the many good reviews on the narrator. What does Keith Szarabajka bring to the story that you wouldn’t experience if you just read the book? exciting scary sad and awesome all in one. on the edge of my seat throughout. this book makes me wanna travel with Hopf once the end comes as he clearly knows what he is doing. Couldn't recommend this book enough I'd pay double to read it!